BERTEIG’s expert in Kanban, Travis Birch, introduced me to Kanban through this link. It may be one of the most reputable sources for Lean/Kanban content online. 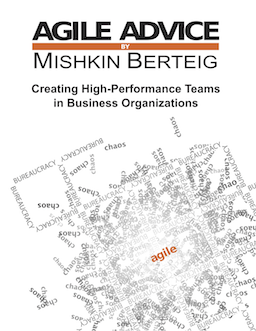 One article I find particularly appealing is Beyond the agility: Lean. I’ll admit that one of the reasons I became hooked is because the phrase “Anybody who thinks we can overcome an emotional resistance with logic was probably never married. We can only overcome emotion with a stronger emotion.” Having been married, this peaked my interest. The rest of the article goes on to give a fantastic introduction into the agility, Lean, Kanban relationship and it served to deepen my understanding of all three. Great read!